Bugs, bugs, bugs! Our students are fascinated by the little insect world. 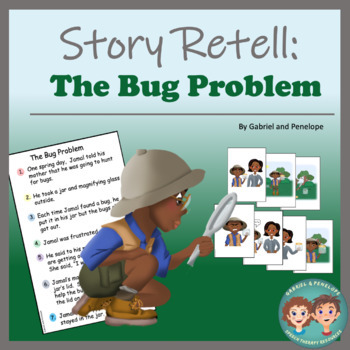 This story retell and sequencing activity about a boy collecting bugs is a fun and engaging way for your students to practice story retell. 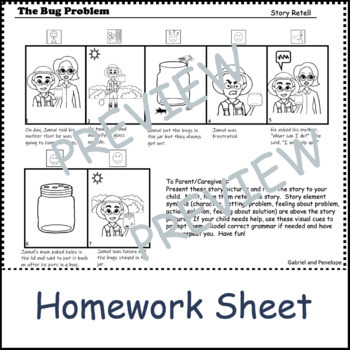 The story is about a boy who is finding bugs and putting them in a jar. The boy has a problem...the bugs get out of the jar. What does he do? Your students will listen to a story and use the visual cues to retell the story until they no longer need the support. 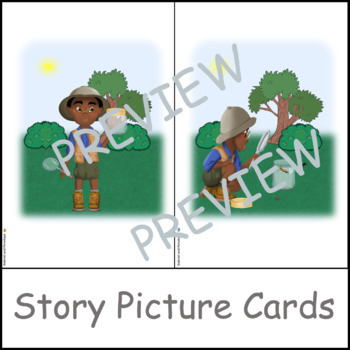 Seven story pictures cards and story element visuals are included to provide cues and prompts. Teach your students to be aware of the information their listeners need. They will learn to use story grammar to retell a story with clarity. 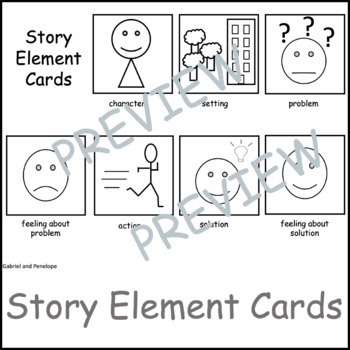 The seven story cards include seven story scenes to use with or without the story element visuals. Your students will learn the story grammar needed to retell a story and to relate a past experience. The will practice answering wh- questions about the story. Don’t forget to leave feedback and earn points toward FREE TPT purchases. Please come back to our store as we continue to add more activities. Follow us and be notified when new products are uploaded. New products are always 50% off for the first 24 hours they are posted.